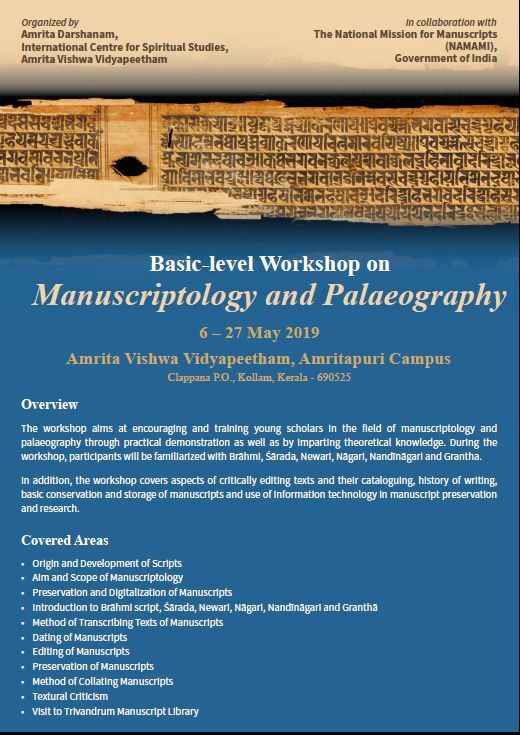 A Basic-level Workshop on Manuscriptology and Palaeography (21 days) is being organized by Amrita Darshanam, International Centre for Spiritual Studies (ICSS), Amrita Vishwa Vidyapeetham, in collaboration with the National Mission for Manuscripts (NAMAMI), Govt. of India, from 6 to 27 May 2019. The workshop aims at encouraging and training young scholars in the field of manuscriptology and palaeography through practical demonstration as well as by imparting theoretical knowledge. During the workshop, participants will be familiarized with Brāhmi, Śārada, Newari, Nāgari, Nandīnāgari and Grantha. 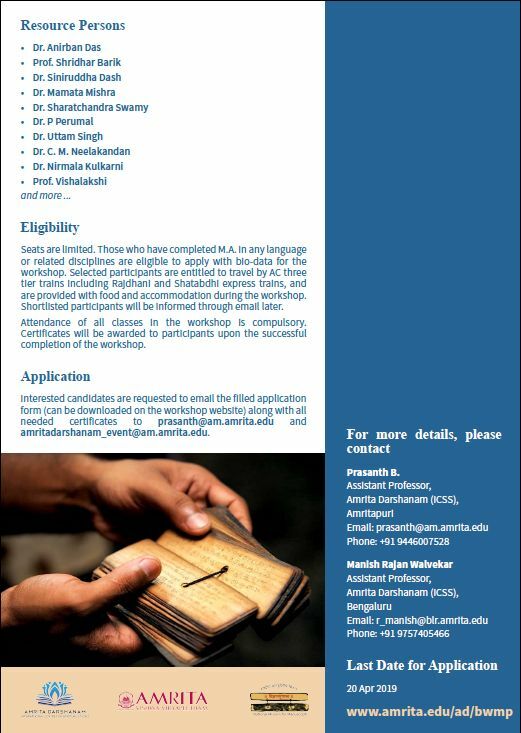 In addition, the workshop covers aspects of critically editing texts and their cataloguing, history of writing, basic conservation and storage of manuscripts and use of information technology in manuscript preservation and research. We believe that the workshop will contribute greatly towards preserving and disseminating the knowledge wealth of India.